Tanaka Tamako had been working for a male-dominated restaurant business but was betrayed by her boyfriend who was hired as the chef. In addition, she is taken to the police as a result of an incident she caused because her friend Morimura Kyoko was subjected to sexual harassment. Tamako resigns from her unreasonable company and starts a bistro selling homemade pot-au-feu on a rooftop in an alley in Jingumae, Tokyo. After seeing her great performance in Saikou no Rikon I decided to watch a dorama where Yoko Maki has the leading role, and finally I betted for this one. 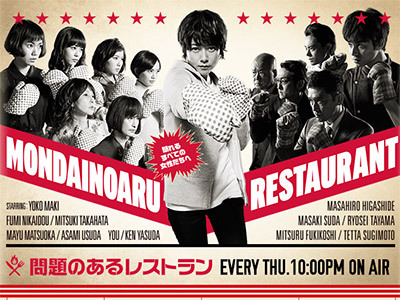 First of all I have to say this dorama is not about a bunch of feminazis, and a transvestite, attacking everything related to men, so hey guys!, we can enjoy watching this show as well. It's a dorama about a group of acquaintances who decided to fight together to get a same dream, this sometimes reminds the concept of The 7 Samurais movie. 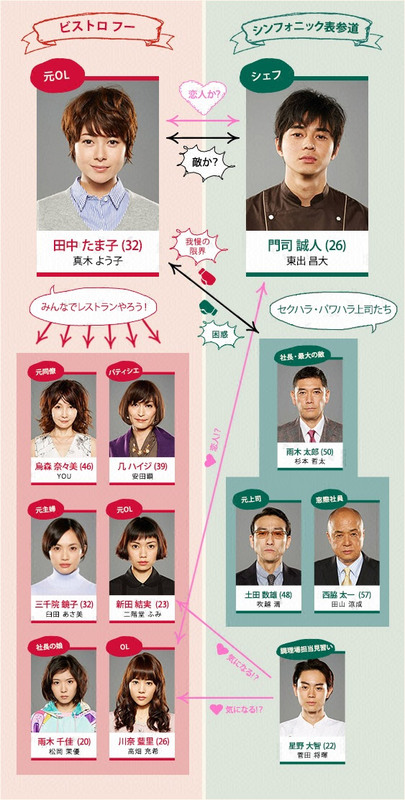 Through this way to get their common objective, they explain some of the problems that might have women in a sexist society represented at the dorama, and how they can solve or overcome some of them. The show is so interesting and funny from the beginning, due to as there are different main characters, the action needs to start from the first chapter. But this means that it's difficult to see a leading one over others through all episodes. For this I think Maki Yoko performance is a little bit shadowed, so I keep thinking I prefer her role in Saikou no Rikon, where her skills like an actress brighted more. Finally, I found out two talents to follow: Mayu Matsuoka and Mitsuki Takahata. Has flaws - lots of them. Sadly the horrible things that happened to the women are an accurate representation of corporate Japan/Japanese male behaviour, hence a 9. Pointless fluff at it's most pointless. Maki deserves better.